OB Noodle House Bar 1502 on Niagara Street features similar menu items to the Original OB Noodle House on Cable Street. At Bar 1502 however, we do not serve Bun Vermicelli Noodles, Vietnamese BBQ, or Teriyaki Grill plates. For a complete menu, visit the Bar 1502 Menu page. Check with our TapHunter, or our Facebook to see what craft beer specials we have available! Please ask server for the daily drink special! Korean style pork belly grilled to perfection. Garnished with our house made papaya salad, Sriracha aioli, and cilantro. Looking for Taco Tuesday & Thursday? Visit the Original OB Noodle House location on Cable Street! Reservations for parties eight or more only, please. 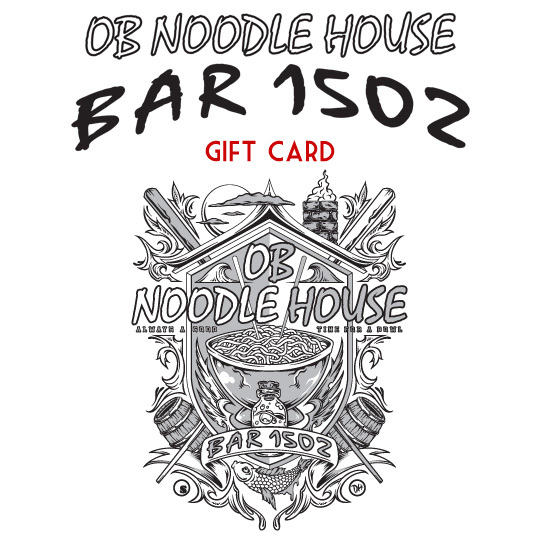 At OB Noodle House Bar 1502, we only accept reservations for parties eight or more.